Cypress Fairbanks Independent School District in Harris County, Texas is the largest Recognised School District in the state. Covering 186 square miles, the district levies local taxes and uses the funds to operate 54 elementary schools, 18 middle schools, 12 high schools, and four special programme facilities, serving a total student population of more than 100,000. Founded in 1939, Cypress Fairbanks employs more than 12,000 people, including more than 6,500 faculty members. Ivanti Asset Intelligence, powered by Landesk, discovers what hardware and software exists in an organisation’s environment, tracks usage, and identifies areas where IT assets can work harder. The solution helps IT reclaim unused licences and reallocate software to reduce IT spend. Plus, with compliance management software, IT can share timely information with auditors verifying compliance to ensure software audit survival. Ivanti Endpoint Manager, powered by Landesk, is a proven client management solution that helps IT do more than keep the business up and running. It is core to: 1) discovering everything that touches the network; 2) automating software delivery; 3) managing all the devices users access; and 4) integrating actions with multiple IT solutions—all from a single, unified management suite. This solution, powered by Landesk, brings together best-practises protection, controlled from one console, to prevent, detect, and remediate. Organisations gain media protection, remote endpoint control, security diagnostics, flexible dashboards and reporting, and more—with app control and automated patch management. Detect and prevent threats, respond swiftly to infections, and provide employees the tools they need to be effective. 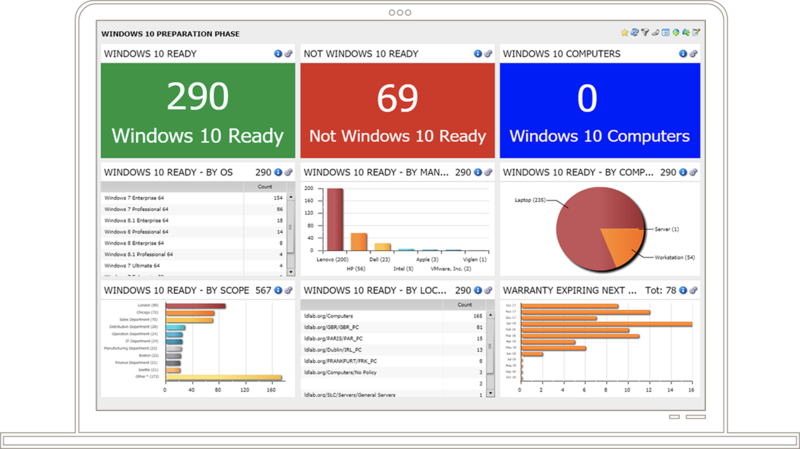 Ivanti Xtraction is dashboard reporting software that delivers IT business intelligence. Organisations typically grapple with separate IT systems and cross-reference data manually—all for one report. In contrast, Xtraction consolidates data from multiple sources and tools and presents it in one place. Pre-built data connectors require no coding and definitely no spreadsheets. Students and educators must have the right tools at their fingertips. The Cypress Fairbanks user base is highly diverse: students across every academic discipline, plus teachers and personnel in food services, transportation, and security. This requires supporting a huge variety of software, confirming that updates and security patches are applied on time, and monitoring software licences to ensure compliance. The relatively small central IT team manages approximately 70,000 desktop and laptop computers, and maintains more than 700 different software packages for students and administrative staff. With more than 700 software packages, Cypress Fairbanks can push out software, updates, and patches to computers from a central point. Historically, IT would have to visit all 54 elementary schools to instal new testing software each year. Now the team runs an update job automatically overnight and at week’s end. Cypress Fairbanks employed the Ivanti imaging process to migrate all student laptops to Windows 10. IT finished early. During the rollout to Windows 10, the IT team used Ivanti Xtraction to display rolling statistics on a 70-inch monitor in its operations room. The time Cypress Fairbanks is saving with Ivanti solutions is time it can reinvest in improving students’ future prospects. No longer occupied with repetitive, low-value tasks, IT can focus on setting up the solution for seamless self-service, which will deliver greater value to the district. Most importantly, the solutions keeps the district’s end users happy, productive, and equipped with secure, reliable, fully licenced software.